have your cake, and customize it, too! February’s Flavor of the Month! February is a month filled with passion, romance, love, and CHOCOLATE! What cake can possibly sum all of that up? Two layers of moist Devil’s Food cake, filled with a cool and creamy chocolate mousse, and topped with a spicy ancho chile chocolate frosting. Yep, that about sums up the month of February! 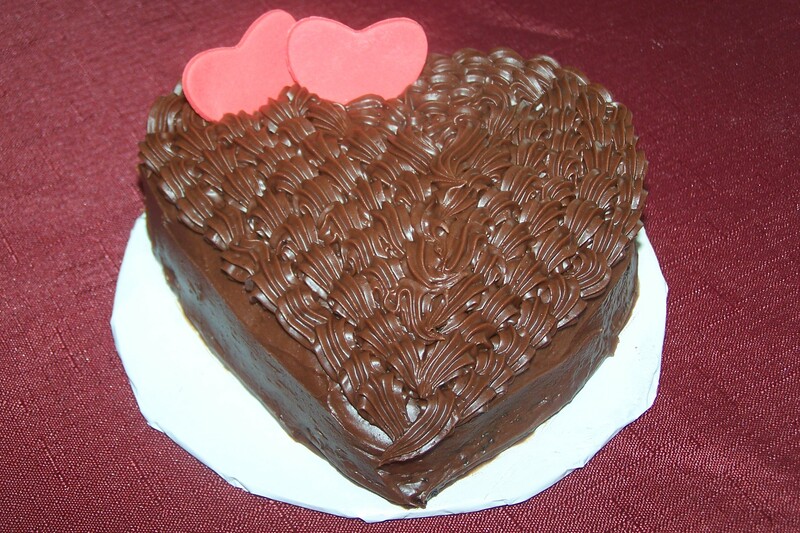 Keep your eye out because Cakes by B will be offering lots of beautiful and delicious treats for Valentine’s Day. January’s Flavor of the Month! This year I decided to have a little fun and have a featured “Flavor of the Month”! The feature for January is….. The Peanut Butter Cup Cake is a moist peanut butter cake that is layered with a creamy peanut butter and cream cheese filling and drenched in a thick chocolate ganache, and then topped with pieces of peanut butter cups. Mmmmmmmmmmmmmmm! You could enjoy this with friends or loved ones as a cake or have some quiet solitary time with it as a cupcake or cake truffle. Any way you have it you won’t be disappointed. Now I know that come January most of us set goals to be healthy and that is nobel. However, let’s be honest, when we are faced with the bitter cold that January brings, what we REALLY want is to curl up in sweats, under a warm blanket, and dive into something that is comforting and warms our soul. THIS IS IT! You've landed on our brand new (READ: "Fresh out of the oven") Blog site. Take a look around and contact Cakes by B with questions. Thanks for coming by.